The ROGERS ULTIMA™ Series CR40 is a high performance 35-ton capacity (40-ton with optional 3rd axle) trailer. 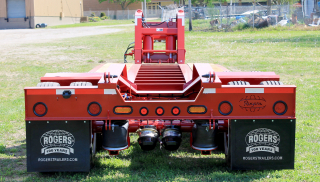 It features our "No Foot"® Direct-Push style detachable gooseneck, 24'-0" cambered platform deck with 20" deck height, and durable air ride suspension. 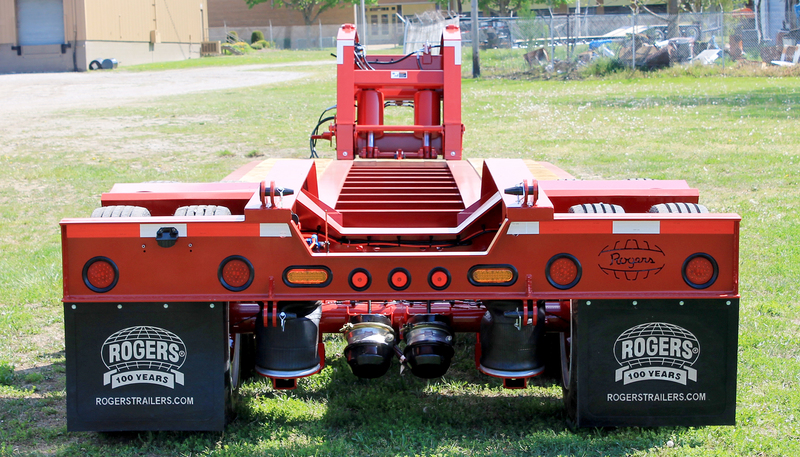 "No Foot"® detachable gooseneck uses lower operating pressures and can lift the rated load anywhere on the deck. Three inch integral hatbox provides additional clearance for truck fenders and ease of detaching gooseneck. 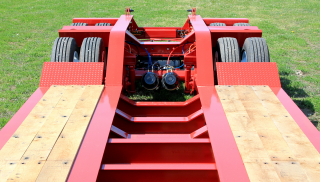 The gooseneck features extension blocks (shims) that provide 4" of adjustment to the trailer 5th wheel height. 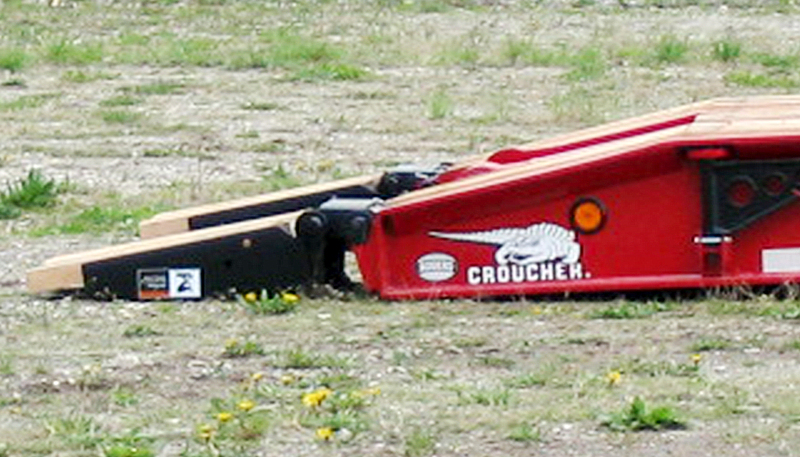 The Croucher® frame front is tapered top and bottom for an optimal load angle. 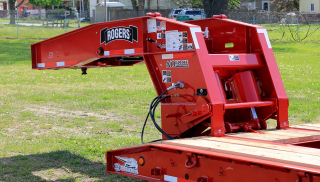 A variety of ramp options are available to best suit your loading needs. The "Bucket Pocket" in the rear of the platform deck and the "Boom Trough" in the center of the rear frame provide a superior profile for loading excavators, etc. Sloped 30° bridge ramps give easy loading access to the rear frame of the trailer. 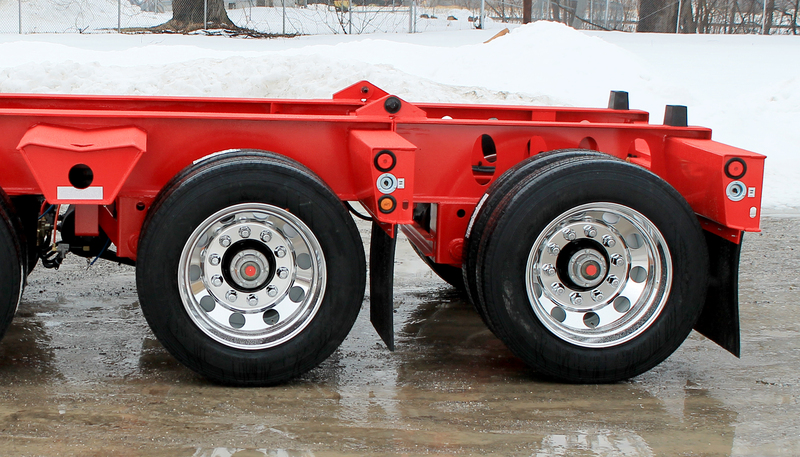 Wide trunnion outriggers between the tires provide a strong, stable loading position for various machines. 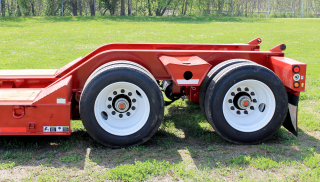 High performance air ride suspension provides for a smooth ride as well as controls to raise or lower the trailer deck height. 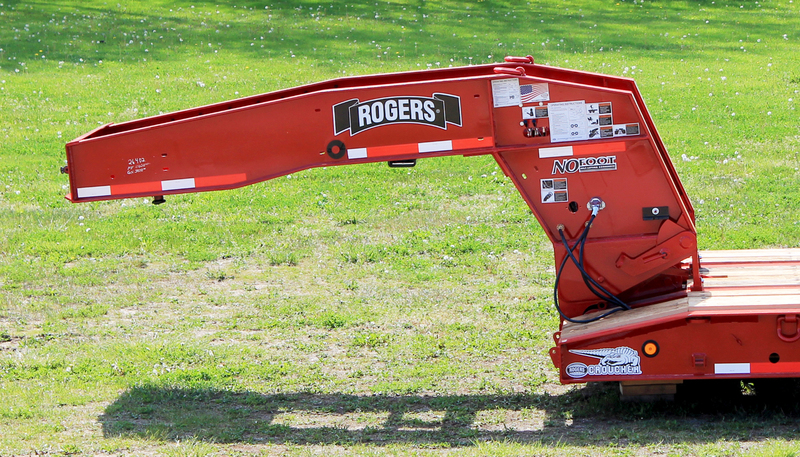 LED lighting is US-DOT approved and includes amber strobe lights with toggle on/off switch. 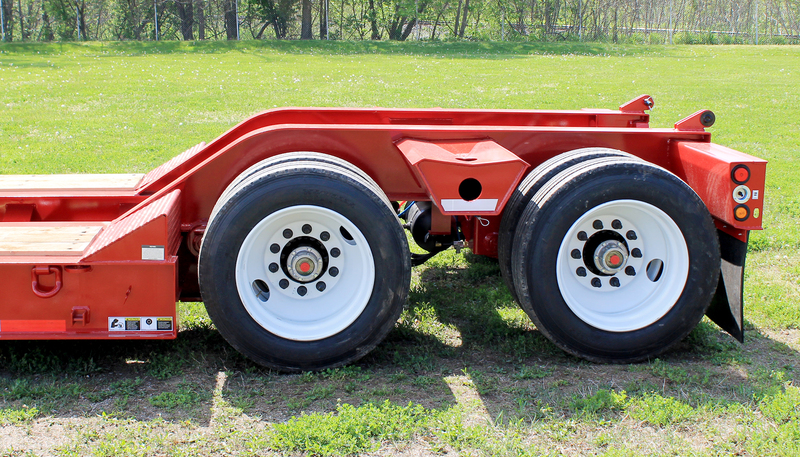 Preparation for removable/flip 3rd axle is standard. 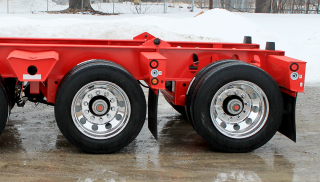 The trailer capacity is increased to 40-tons with the addition of the 3rd axle.